Arthritis has become a very common joint disorder today. There are various kinds of arthritis; one of them is Rheumatoid arthritis. Rheumatoid arthritis causes inflammation of the joints and tissues surrounding them. This long-term disease sometimes affects other organs as well. Although occurring more at middle age, it can affect people of all ages. However, women are more susceptible than men. When the immune system misbehaves and accidentally attacks healthy tissue, rheumatoid arthritis can occur. It is an autoimmune disease. Genes, hormonal changes, and infection are some reasons why this disease can occur. Starting with minor joint pain, rheumatoid arthritis can soon result in loss of motion and deformity to the joints. Apart from this, chest pain, dry mouth and eyes, burning sensation in the eyes accompanied by itching and discharge, tingling and numbness in the feet and hands and skin nodules are some of the other symptoms. Patients usually require lifelong treatment which could include medication, exercise, physical therapy, and surgery. 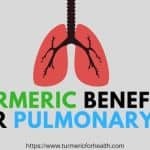 As we do in all cases associated with turmeric benefits, I will provide here with briefs of various studies conducted which prove turmeric benefits in case of Rheumatoid arthritis. 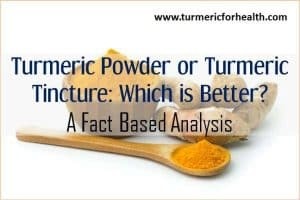 As indicated in several of our articles before, the proofs existing for natural cures such as turmeric are sometimes not as strong (or maybe just documented) as that of modern medicine. But that does mean they are not effective. 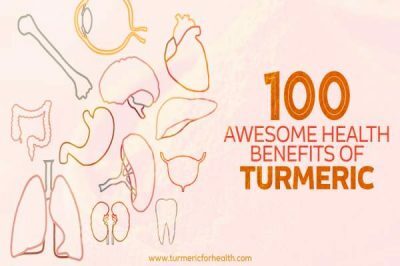 Why turmeric if beneficial? It is because of its amazing anti-inflammatory properties. The medicinal properties of turmeric have been well documented for centuries by practitioners of Ayurveda. Usually, this disorder is very hard to treat and the patient needs to take immunosuppressive medications for the whole life to keep the immune system from attacking its own body parts. One of the most popular medications used by RA patients is NSAIDs. This, in turn, causes other problems and side effects. It is thus important to switch to some permanent, more effective and less toxic treatment for the disease which eases the symptoms and helps cope up with it in a short span of time. Can turmeric help in Rheumatoid arthritis? The answer seems is yes. Turmeric works through its active ingredient, curcumin, which has potent antioxidant and anti-inflammatory effects on the body and helps in preventing, protecting and healing the joints against the immune system attack in rheumatoid arthritis. Turmeric, thus, is emerging as an efficient, non-toxic and potential therapeutic herb for the treatment of rheumatoid arthritis. Turmeric is emerging as a novel anti-arthritic nontoxic herb to treat rheumatoid arthritis. The disorder of rheumatoid arthritis in rats is known as collagen-induced arthritis which is similar in most contexts to the human rheumatoid arthritis. The experimental trials are majorly done on collagen-induced arthritis in rats and the effects are correlated with those in humans. The major effect of the attack on the immune system on the body is inflammation. When the immune system starts attacking a body part, it activates certain cytokines and the cells of the target tissue also secrete an enzyme called COX2. The enzyme COX 2 helps in the formation of prostaglandin E2 which attract the inflammatory cytokines and the immune system thus gets the direction of the target tissue. These target tissues in case of RA are usually the joints. It is thus very important to stop the formation of COX, Prostaglandin E2, and inflammatory cytokines to prevent the attack on the target tissues and consequent inflammation. Recent research has evidenced that curcumin from turmeric, if fed continuously in considerable amounts, significantly decreases the levels of COX enzyme and consequently, prostaglandin E2. This helps in the inhibition of the target tissue to attract the inflammatory cytokines. Another research study has found that curcumin – an active ingredient in turmeric – can benefit those with rheumatoid arthritis since it has anti-arthritic and anti-inflammatory properties. A study was done to determine the effectiveness and safety of using curcumin independently and combined with Voltaren – a Nonsteroidal anti-inflammatory drug (NSAID). The study found that bioavailable forms of curcumin were highly effective in easing rheumatoid arthritis symptoms such as swollen and tender joints. What it means: curcumin from turmeric helps in reduction of the inflammation in the joints and other tissues by preventing the release of inflammatory enzymes and cytokines in the body and by preventing their attack on the target tissue . Generally, when the tissues get attacked by the immune system in the body, they get inflamed and start degenerating. This process occurs because inflammation induces cell death which slowly degenerates the whole tissue in the target area. In an experiment was done on collagen-induced arthritis in rats, it was found that regular dosage of this herb in medicinal amounts reduces the degeneration of the tissues which are a target of the immune system in this disease. This helps in pain management and prevention of the other accessory disorders that accompany or follow long-term arthritis. The experiment was majorly done with turmeric extracts which seemed to show efficient and quick results in treating the disorder. What it means: regular consumption of turmeric helps in reducing or arresting the process of degeneration in the arthritic bones, joints and tissues. This prevents the occurrence of other diseases which usually prevail after suffering from arthritis for a long time . In rheumatoid arthritis, when the cells in a tissue are damaged and inflamed, they still survive with that damage and keep on dividing. In case the damage becomes irreparable, they under normal conditions undergo cell death but in the case of RA, most don’t. This damage has the risk of being passed down to the next generation of cells via cell division and increase the amount of damaged tissue. Overall, this exacerbates the pain and discomfort in this disease. The process of cell death in case of irreparable damage is known apoptosis. This occurs normally in cells and is regulated by proapoptotic and anti-apoptotic factors. Pro-apoptotic factors such as different types of caspases get activated when irreparable damage is detected. On the contrary, anti-apoptotic factors are constitutively active in the cell to prevent unnecessary apoptosis or unnecessary activation of pro-apoptotic factors. In case of diseases like cancer and rheumatoid arthritis, when the tissue gets damages, in the majority of the cases, the apoptosis is dysregulated. The pro-apoptotic factors are downregulated whereas the anti-apoptotic factors are up-regulated. In rheumatoid arthritis, the damage in the cells usually makes them acquire the genes that produce pro-inflammatory molecules like COX. The damage, if passed down in new cells, increases the amounts of this inflammatory molecule release and attracts the immune system even more. This damage is very important to control by letting the bad cells die, but if the apoptotic machinery is nonfunctional or dysregulated, it makes the cells unable to die even in the case of extensive damage which is in fact passed down to the next generation of the cells by cell division. Curcumin from turmeric has been found to regulate this dysregulated process of apoptosis in the inflamed cells in rheumatoid arthritis. A research has shown that it increases the number of proapoptotic factors (caspase 9 and caspase 3) in damaged cells and decreases the number of anti-apoptotic factors like Bcl 2 in the same. This leads to the programmed cell death of the damaged cell as it should happen ideally. Overall, the whole process prevents the damage to spread in the newly formed tissue and in the nearby cells. What it means: curcumin from turmeric induces programmed cell death in the cells containing extensive irreparable damage and prevents them from dividing and letting the damage pass down to newly made cells, ultimately reducing the damage . For people with the family history of rheumatoid arthritis, the occurrence of this disease is more likely. 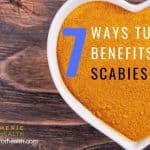 Such people are more at risk of getting their immune systems turned against their own tissues at any point of life and thus, should be prepared enough. Since it can’t be detected that the person is going to have rheumatoid arthritis at some point in time in the life, it is better to take harmless precautionary measures anyway especially for those having this disease in the family. 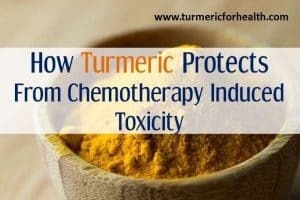 Research has shown that regular consumption of turmeric in regulated amounts protects the tissues from releasing inflammatory molecules and attracting their immune system to attack. Curcumin from turmeric also reduces the amounts of cytokines in the blood specifically targeted to the joints. In other words, curcumin prevents the turning of the immune system against one’s own body tissues by exerting protective effects on both the tissue and the immune system. 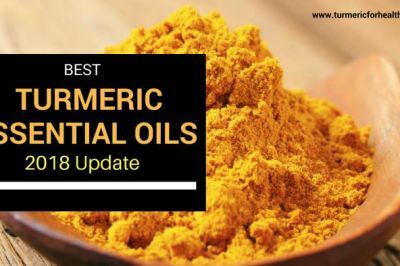 In this research, it was also found that a number of curcuminoids found in turmeric extracts, especially turmeric oils are responsible for this protective effect on the joints. Curcuminoids are the different derivatives of curcumin, out of which three have been identified as most effective. In one study, 18 patients with rheumatoid arthritis were divided into groups. One group was given 1200mg / day curcumin and the other 300mg/day of phenylbutazone. At the end of the tests, both groups showed improvement in symptoms of morning stiffness, joint swelling and walking time improved. What it means: on regular consumption, curcuminoids from turmeric exert protective effects on joints and immune system by preventing the inflammation and the onset of rheumatoid arthritis beforehand . Oxidation, just like inflammation is a process that leads to extensive damage in the cells of the joints in rheumatoid arthritis. Oxidation is caused when the damage in the joints due to immune attack starts secreting oxidative molecules, also known as reactive oxygen species. Reactive oxygen species (ROS) such as NOS, peroxide, and others react with the cellular components and kill them so that the cell dies. This leads to increased degeneration of the tissue which exacerbates the effects of rheumatoid arthritis. In many research studies, it has been found that curcumin inhibits the secretion of several of the reactive oxygen species in the tissue under immune attack in rheumatoid arthritis. This effect is known as the antioxidant effect which curcumin is known for. Preventing the secretion or formation of various oxidants helps in reducing the damage to the joints and also prevents the premature and unnecessary death of the target cells. Ultimately, there is reduced degeneration, pain, inflammation and other similar symptoms on consumption of this herb. What it means: curcumin from turmeric exerts anti oxidant effects and helps prevent the oxidation in the cells of the joints so that there is reduced degeneration in the target tissue accompanied by ameliorated symptoms and better pain management . While RA associated pain is already discussed in the above sections along various ways turmeric can help in managing it. But I wanted to discuss this separately too as it is a very important aspect for an RA patient. 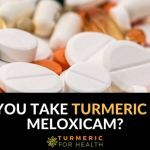 Several of my readers (who have RA) have written to me and discussed how by taking turmeric they felt better (without taking their medications). Their stories are long and thus I have just put snippets here. But these enough for anyone to get inspired and to give turmeric a try. 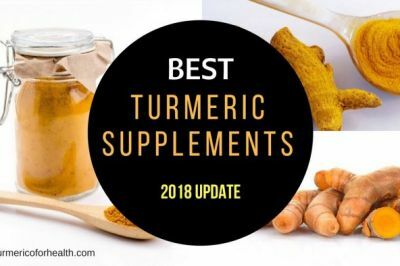 Thus, it is not just research in the lab which indicates that turmeric is great for Rheumatoid arthritis but the experience of thousands of people who are making it part of their life now. The pro-inflammatory cytokines like TNF-α and interleukins, expressed in the bone tissues also lead to the degradation of bones and cartilage mediated by various signaling pathways like RANK pathway. These molecules modulate the process of osteoclastogenesis (breaking of bones for repairing) and lead to bone erosion. Curcumin can prevent bone loss as well. It inhibits the signaling pathways like RANK, which in turn inhibits osteoclastogenesis in rheumatoid arthritis patients. This prevents bone loss. Curcumin also protects the cartilage cells from the damage induced by a pro-inflammatory molecule, interleukin-1β (IL-1β). It inhibits the activity of IL-1β and thus, prevents cartilage degradation. It means curcumin can prevent the bone and cartilage loss mediated by the pro-inflammatory molecules. It inhibits signalling pathways involved in the bone loss and cartilage degradation. The risk of developing cancer in the rheumatoid arthritis patients who were treated with DMARDs (disease modifying anti-rheumatic drugs) has increasingly been known. There are several reports of cancers of breast, lung, colon, lymphoma, skin, etc. These malignancies are linked to the altered immune responses and inflammatory responses caused by the pathogenesis of rheumatoid arthritis as well as the DMARDs treatment. Curcumin is a well-known chemopreventive agent which prevents the development of a number of cancers induced by drugs, carcinogens or other factors. 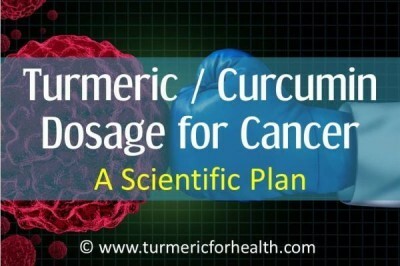 The radical scavenging action and inhibition of inflammatory responses of curcumin help in the prevention of cancer. It also induces death in malignant cells by interfering in various molecular pathways. It is known to induce cell death in the synovial cells of rheumatoid arthritis patients. This prevents the hyperplasia or excessive division of cells which marks an initiation of malignancy. 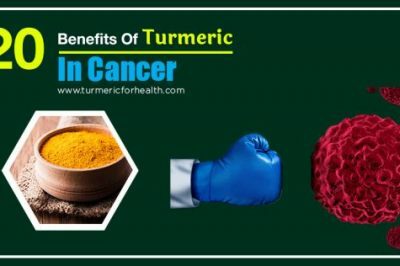 Curcumin blocks the activity of T-lymphocytes (an immune cell) which helps in inhibiting proliferation and inflammatory responses that can lead to cancerous conditions. Curcumin derivatives also show chemopreventive activity in a rheumatoid arthritis model. This activity is a result of inhibition of various pro-inflammatory gene expressions. It means curcumin consumption can prevent the risk of developing cancer due to various aspects of rheumatoid arthritis. Curcumin’s anti-inflammatory, antioxidant and induction of cell death mechanisms helps in this. The common drugs that are used for the treatment of rheumatoid arthritis are NSAIDs and DMARDs. These act against inflammation and modulate immune responses. A major drawback of these drugs is that they pose serious side-effects to the patients. The side-effects range from nausea, headache to stomach ulcers, liver and kidney damage, etc. NSAIDs frequently induce nausea, peptic ulcers, gastrointestinal bleeding, and other such side-effects. Curcumin is known to have gastroprotective action against the side-effects induced by the NSAIDs. It reduces the inflammation and reactive oxygen species induced by the drug and prevents the damage to the gastrointestinal tract and thus prevents ulcer formation. Methotrexate, a DMARD used in rheumatoid arthritis treatment causes severe side-effects to the liver by inducing oxidative stress. Curcumin has been found to attenuate this oxidative stress and thus protects the liver from the damage. 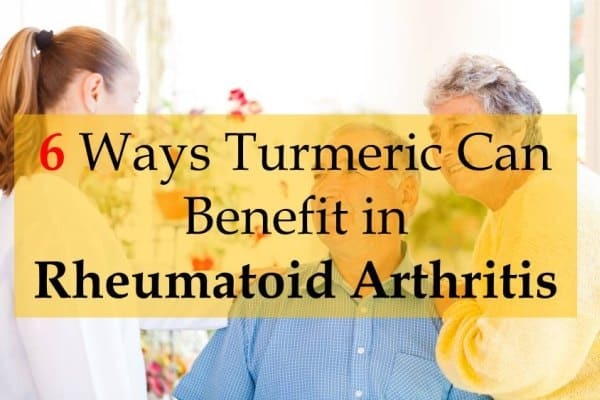 It means curcumin can be used along with the conventional drugs used for rheumatoid arthritis treatment to protect against the frequent side-effect of these drugs. 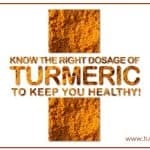 The best to take turmeric as part of your diet and only go for supplements when there is no other choice. 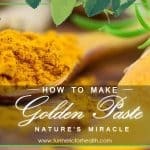 One can easily take up to 1 gm of turmeric powder per day without any issues. 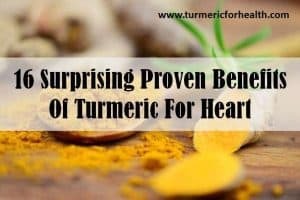 Since turmeric is not well absorbed in the body, its availability to the target tissue or organ is relatively low as compared to the actual amounts taken by mouth. To increase its absorption in the body, small amounts of black pepper should be taken. Freshly cracked seems to the pepper is best, if possible. Adding fats also help, this is because turmeric is fat soluble. This is why adding turmeric to curries etc. which have oil / fats as a spice is a great idea. Turmeric as a spice is very safe. Turmeric is one of the safest herbs known to man, being used traditionally for medicinal purposes since centuries. Recent research has also proven its efficacy in treating several complex disorders including cancers and arthritis. However, the consumption of turmeric in therapeutic amounts by pregnant and nursing women has not yet been analyzed scientifically. Due to a lack of evidence of safety, it is advised to avoid its consumption in large amounts during gestation and breastfeeding. Turmeric may induce mild stomach aches, diarrhea and kidney stones on over-consumption. It is known to reduce blood clotting and can increase the effects of drugs like warfarin that reduce blood clotting if taken along with it. Conversely, it can interfere with the drugs that increase blood clotting if consumed along with those. Its consumption should be stopped 2 weeks before scheduled surgery to avoid the risk of bleeding. Turmeric also reduces blood sugar levels and if taken in large amounts along with diabetes medications, it can cause hypoglycemia. 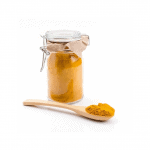 Most of the side effects of turmeric occur when one takes its large dosages for a long time. If you include turmeric in your diet that possibility is greatly reduced and you can enjoy its benefits for a lifetime. 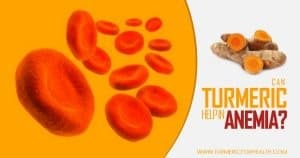 Turmeric, also known as the golden spice, works wonders medicinally for several disorders which are not easily treated by synthetic drugs or allopathic therapies. It is emerging as one of the most effective herbs to consume for majorly non-treatable or complicated disorders like rheumatoid arthritis and other autoimmune ailments. I am having pain in my knees and wrist, does that mean i am suffering from arthritis, well will surely try turmeric. Hi Susan. We suggest getting a full checkup done to diagnose whether it is arthritis. Turmeric can help in relieving pain and you should definitely give it a try. I have recently been diagnosed with R A and been prescribed Sulfasalazine, having blood tests every 2 weeks,these had to be stopped for a week as affected my white blood cells! Back on them but very interested in turmeric and curcumin. could this help me? And is it taken in conjunction with Sulfasalazine? Hi. Turmeric and curcumin is excellent for rheumatoid arthritis. Yes you can even take it when on sulfasalazine; just avoid taking it at the same time. Maintain a 3-4 hour gap. This is because curcumin in turmeric interferes in drug metabolism and this may increase the concentration of medication taken concomitantly. That is not safe on long term. If opting for turmeric/curcumin supplements please consult a health practitioner prior. I have progressive RA and have been using golden pasre since Jan. It has helped tremendously my Rhuematolagist says i no longer need Biologics my blood work is finially good…… has not been good for a long time….also i have not been able to wear a ring in years and i am now able to to wear one because inflamation has decreased and also i am not as stiff when i get up in the morning .I take about 1/2 tsp chased with juice 3 or4 times a day as well as three tsp of good quality fish oil not pills the liquid form my improvement has been amazing!!!! Thank you for all your info God bless thank you Turmeric!! That is fantastic! Thank you so much for sharing this! Wish you great health! Just love your writing way. Because you have shared nice staff in your article. Also you have pointed some precautions along with turmeric benefits in this article. Thanks for your valuable information dear. Keep it up..
Hi, I just started today ….. I’m so excited to see if it helps even is it help me 30% I will be happy. I highly recommend The Synergy Company’s Turmeric supplement. It is organic and very bioavailabe. I also recommend taking a GMP omega/krill supplement as well. Both supplements are very affective for RA and overall health. I have always had a lower back pain for 7 years. when i become consistent in taking turmeric i do not feel pain i can easily bend now which i could not do. it would be so painful. My dose is 1tspn powder , 1/4 tspn black pepper in glass of warm milk. 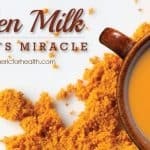 You can also use 1tspn turmeric powder in a glass of lemon/mix with honey if you do not like milk. 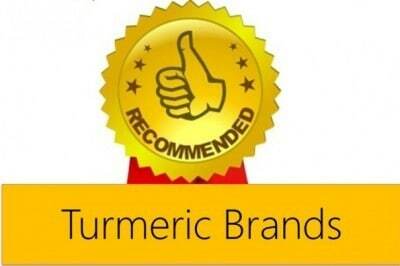 Maureen we are glad to hear that turmeric is providing relief from low back pain to you. I took Dr. Daniells Turmeric curcumin, 2 500 mg capsules 3 times a day until pain in my knee subsided(2 or 3 days), now take 1 capsule 3 times per day, been 4 or 5 months pain free!! 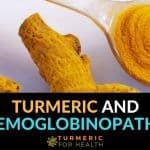 I take 500mg 3 times daily turmeric along with krill oil, vitamin D, probiotic, multivitamin, biotin. No other medications, forgot to add this. Give it a try you’ll be amazed. Hi Tanisha, thanks. We sent some queries to them about their product – we are still waiting for their reply on that. We only recommend a product when we get full details of the product ourselves. As of now there has been quiet some delay in getting that from DR. Danielle turmeric. Im on methotrexate as well for past 4 months..while it helps the ease the pain my hair started to fall alot. My rheumatologist is increasing the dosage and now is including sulphasalazine together as the inflammation is still active. And through my online reading, these drugs are not good for long term. I am also looking and trying natural remedies as much as i can. I will try this turmeric remedy and hope it will do good for myself. I dont want to rely on the modern drug for long. Did you start taking these Natural Turmeric supplements for your RA? If so, did it help? My mother is on methotrexate as well. Please get back to me on this. Pankaj, studies show that curcumin in combination with methotrexate helps reduce arthritis symptoms and also counteracts the side effects of methotrexate. You could start your mother on Golden Paste. This recipe ensures absorption of curcumin and is a dietary source so it will not interact with her medications. You could start with 1/2 to 1 teaspoon daily and gradually increase the dose to 1-2 teaspoons or more 2-3 times a day depending on how it suits her. You are welcome, and you’re right, the supplement is not enough. Recently found turmeric root; now I grate one root, cut about 3″ length and take one capsule of curcumin daily. The aroma and taste of Turmeric Root is delicious and fresh. Combined the two made a difference in overall health and well being…. I enjoy making soup, using grated black pepper to increase bioavailability I’ve been told is very important. Having the actual root is very new to me and it’s yummy. Yes, fresh root has different taste from powder as it also has oils. It is great to take fresh root as a few of the good stuff gets lost when powder is made. You can also use fats (which will come automatically if you use it in curries etc.) to make it absobable along with BP. How much would the recommended dose be in spoonfuls ? Hi, please start with 1/2 to 1 tsp. you can go upto 2 in case of pains etc. but 1 is very safe and can be taken for lifetime .. Very true. But I have immunomodulatory peptide [ small chain amino acids] ampules, that , injected once a month, can put RA into remission. They can be like magic, pain gone in a day. But the therapy is limited to a few doctors in Europe and the US. This is interesting. How expensive is this ? $389 per injection, monthly, for at least a year. And doctor visits. yes but alternative and age management medicine is for those willing or able to pay. Many will pay $5000 per year for a few years to avoid the biologics. 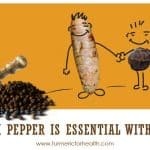 I enjoy your knowledge of turmeric root and sharing your thoughts on this site is phenomenally helpful. I have been using curcumin since, 2011 in an effort to lower my high cholesterol levels. Subsequently, it lowered my LDL by, 30%. My doctor and I were pleased. Most importantly, I couldn’t taken statins due to the side effect. Now, while I took the supplement curcumin daily, 500mg twice a day, another problem I’d suffered from for decades began to disappear. 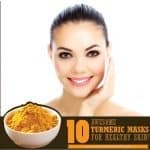 Curcumin helped eliminate a skin disorder known as HS ( hydradenitis suppurativa)…… There is no cure for this debilitating disease, but curcumin/turmeric root taken daily, can and does help….. Thank you for giving us the opportunity to get help and share in helping others. Thanks a lot for sharing your experience. have you tried taking turmeric powder too? any particular reason to stick to supplements? The article is very informative. All of us should find a simple way of taking the daily requirement. Hi, the simplest way is to include into diet. For example almost every curry we make in India has turmeric! which takes care of the dosage very easily.